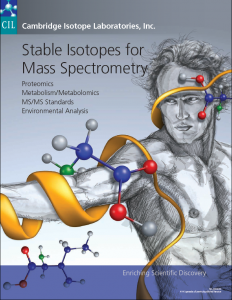 Metabolic incorporation of heavy isotopes into a proteome, such as in SILAC or SILAM, is the preferr ed method to prepare an internal standard or labeled control, however, many organisms and animals are not amenable to metabolic incorporation. Fortunately, proteins or peptides may be easily modified through chemical synthesis at primary amines or cysteine sulfhydryl groups using relatively simple chemical “tagging” reagents. 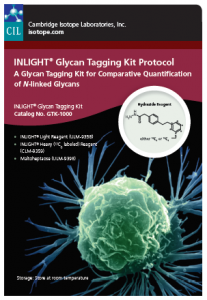 Tagging reagents are compatible with almost any type of biological sample type and represent a low-cost alternative to metabolic labeling. One popular and simple chemical tagging methods is dimethylation(1). Reductive methylation utilises formaldehyde and cyanoborohydride or cyanoborodeuteride and results in the addition of two methyl groups on the N-terminus and lysine side chains. Dimethylation also allows for the quantification of two or three biological samples in MS experiment. 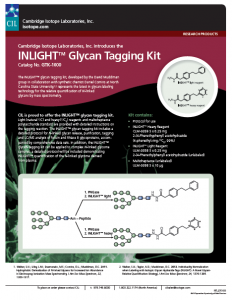 CIL carries a full line of labeled tagging reagents so that the incorporation of stable isotopes at either the peptide or protein level is easily achieved. Below are some helpful articles and application notes that may be of use.. If you have any questions or wish to get a quotation for any of these products then please don’t hesitate to contact us.